An impromptu ‘date’ one Friday also slashed one item from my bucket list! – To watch another classic musical play! Fortunately, I was able to watch Miss Saigon when it first came to our country casting no less than the stellar Ms. Lea Salonga some years ago. 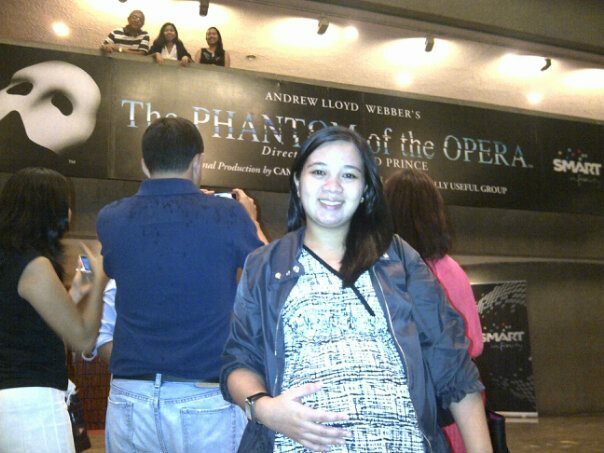 And last Friday, August 24 an opportunity to watch the very first visit of The Phantom of The Opera knocked my door, so despite the heavy rains and the threat of Metro flood I decided to seize the moment that Friday and told myself, “I’ll go even if I will have to sleep in the office or CCP later in case there would be a Habagat Part II”. It’s actually the final dress rehearsal before the full blast commercial run but frankly, with a production as great as they are, there will be no difference. And I’m happy I did! The next morning (thank God, the rain had stopped that night), I suffered from the last song syndrome or should I say last soundtrack syndrome from The Phantom of The Opera. The props, effects and sounds were all magnificent. The actors were all good, yeah just good but The Phantom dominated the stage and met if not exceeded my expectations, my high expectations. Though I could sense some discomfort for the stage blocking because sadly CCP’s stage was too small for such a great theatrical, musical production. 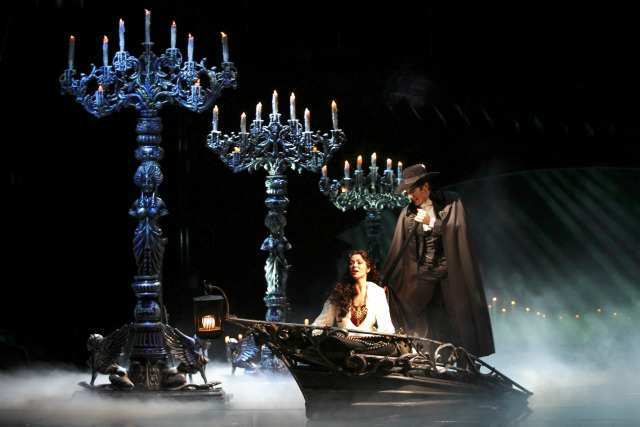 Most of the costumes and props were brought from their London and Broadway shows, just like the chandelier which symbolizes how classic and how huge grand this musical play is. Kudos also to the select members of the Philharmonic Orchestra who made it in the production! Bits of Info: The Phantom of The Opera is a sensational novel by Gaston Leroux in 1909. It became a hit musical in 1986 through Andrew Lloyd Webber and was later turned into a movie film in 2004 directed by Joel Schumacher and starred by no less Gerard Butler. For me, it’s a sad life story with inspiring love stories. It’s a classic Beauty and Beast, only, the magic is in the music and the Beast was never turned into a handsome prince charming. If there’s one thing I’m certain of, the Phantom of the opera surely knows what true love means. Cheers to the whole production crew, actors, sponsors, producers, and the audience especially Filipinos who obviously appreciate such a piece of art!